In view of the fact that 462 Joint Secretary-level officers are posted in various ministries at the Centre, the proposed lateral entry of ten industry experts at the Joint Secretary-level has generated a disproportionate amount of controversy. The Opposition has slammed the proposal as a move to undermine the Civil Service, while Government has defended lateral entry of experts as an attempt to rope in specialists who can effectively execute new schemes of the Government. The truth lies somewhere in between. 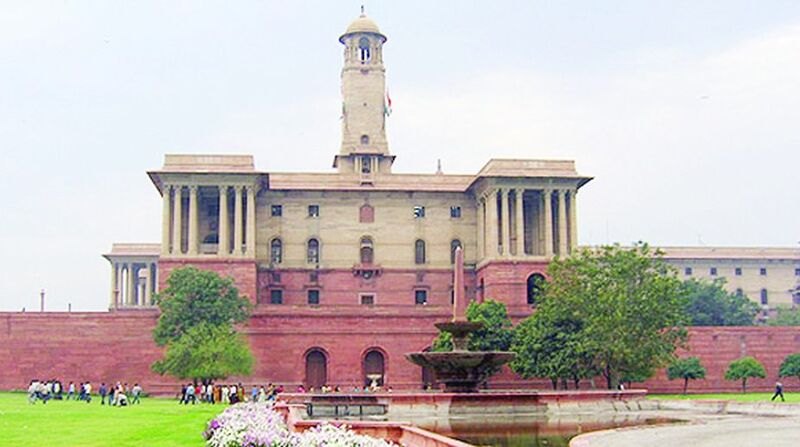 At the time of creation in the 1920s, the post of Joint Secretary was considered equivalent to the post of Secretary and the Government of India had just 7 Joint Secretaries in 1937 which increased to 25 at the time of Independence. The importance of Joint Secretaries has definitely declined; the Income-tax Department alone has more than 700 officers at the level of Joint Secretary and above. One reason for the induction of professionals is the current Government’s disenchantment with the IAS; out of the 260 appointments of Joint Secretaries after 2014, more than 100 posts went to non-IAS officers ~ which would be a record of sorts. The other reason could be continuing shortage of officers at the Joint Secretary-level, which touched a figure of 35 at a point in time in the recent past. With many States not providing Central Deputation Reserve of IAS officers to the Central Government, it would appear that IAS officers prefer postings in their respective States rather than at the Centre. This is not the first time that professionals were inducted into the Government; people like Dr. Manmohan Singh and E Shreedharan were two of the many domain experts who did exceedingly well for the Government and the nation. However, this is the first time that a significant number of non-officials are being recruited in the Government at such a senior level. The IAS cadre is viewing these appointments as the thin end of the wedge; a move designed to divest them of their administrative dominance. In principle, there is nothing wrong with such appointments, the country is certainly entitled to the best talent it has. After Class12, some of the brightest brains study engineering or opt for the medical stream. Should such people be denied the opportunity to be in the Government only because they did not join Government service in their youth? Countries like the USA freely permit switches between the Government and business and are none the worse for it. One of the arguments put forward by career bureaucrats against lateral induction is that someone who has not worked as a Sub-Collector or Collector cannot handle responsibilities of high office. This is simply not true today; the Collector’s basic job is collection of land revenue which is the least important source of Government finances. Rather, most bureaucrats do not have a clue about the complexities of sectors like finance, telecom and petroleum which specialists would certainly have. The other objection of the IAS cadre is that the UPSC has no role in the proposed lateral induction, but then most of the senior appointments are now being made by the Committee of Secretaries which is a construct designed by the same bureaucrats to bypass UPSC. It would appear that bureaucracy has built an ivory tower around itself which is being breached for better administration. balances. According to the Government’s thinking no single functionary should have the knowledge or capability to take a major decision by himself; what else could possibly explain the allocation of the urban housing portfolio to a career diplomat and the foreign affairs portfolio to a recently retired General? Every significant action of a bureaucrat has to meet the approval of a host of agencies which at best results in delay and more often than not in the stymieing of new initiatives. The 4Cs ~ the CBI, the CVC, the CAG and the Courts ~ deeply scrutinise all bureaucratic decisions with the benefit of hindsight; serious damage follows should innovativeness go wrong. On the other hand, inaction is rarely punished; a number of reasons are always available for not taking any action. Apparently, in the eyes of the Government results are less important than procedure. Most Government schemes fail because they are not implemented on the ground by lower level functionaries who treat Government employment as a sinecure. Higher-ups gloss over failed schemes by preparing glowing reports for the Government. Lack of accountability is of such a high order that no action is taken even after the most egregious failures. Every bureaucrat gets at least a 9/10 rating regardless of his lack of performance. It seems that no one ever thought of having a realistic performance appraisal system, for example, by grading a Department’s performance and distributing the Department’s marks amongst its officers. It would require a Hercules of the stature of Sardar Vallabhbhai Patel to clean the Augean stables of the Government of India. An intermediate solution could be to allow each minister to nominate 10 persons to his retinue to overcome bureaucratic hurdles in his department, but given the venality of Indian politicians this would probably result in chaos and serious corruption. So far as the scheme for lateral induction of non-officials is concerned, clear guidelines about the responsibilities to be entrusted to lateral entrants and their relations with persons from the organised civil services will have to be formulated. The present scheme of induction of 10 experts for three to five years would not make any perceptible difference in the functioning of the gargantuan Government machinery. At best, it would give an inkling about the calibre and character of persons who would join a tottering system at a fraction of their existing remuneration. A number of questions have been raised about the competence and commitment of our bureaucracy. We can only hope that induction of specialists would break this jinx and provide our country with the bureaucracy it deserves.